We would like to thank Pablo and the team from OMG for making my sons 21st birthday a truly amazing night. From start to finish you guys were amazing, set up to clean up. 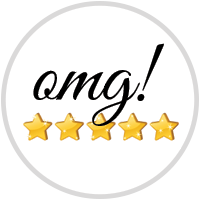 Our guests could not stop raving about what fun they all had and I'm so glad we made the call to OMG! thanks again. Angelique is a dream to deal with in choosing what worked for my Las Vegas theme. The Casino Manager Christina was extremely professional in setting up and her team at the actual event were outstanding. I had roulette, blackjack, props and show girls. The show girls were absolutely lovely, blended into our party and did a fabulous dance. Thanks so much Angelique, Christina and team! Very impressed with our Casino manager Pablo! He kept our guests entertained throughout the night lots of funny betting going on and some lucky winners. Set up and packing down was done extremely smoothly - would hire again. Highly recommended. Angelique was great to deal with prior to the event and the team that came to the event where professional and very approachable. Both kids and adults loved the casino tables. No kids were on phones the whole night as they were so occupied. I would highly recommend OMG! We hired gaming tables and showgirls from OMG last week for an awards night. Communication and planning was seamless. Nothing was a hassle and Angelique was so helpful. The night was a success and everyone loved the tables. The attendees were energetic and explained the games to guests who weren't too sure. I would highly recommend this company and look forward to working with them again in the future. We recently had my husbands 30th birthday with OMG! Everything was amazing and top quality! The staff were super efficient, fun and happy the whole night!!! Everyone had a ball!!! We were so lucky to have the incredible team at OMG Entertainment be part of the Invictus Games Sydney 2018! Angelique and her team went above and beyond to provide an amazing casino night service, complete with professional staff, beautiful props and a fun photo booth. We cannot thank OMG Entertainment enough on behalf of the Invictus Games 2018 family, and I would recommend their services in a heart beat.